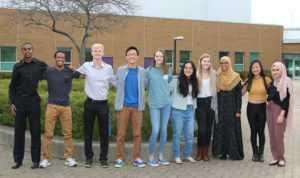 PHSC announced their top 10 students of the graduating class of 2019. 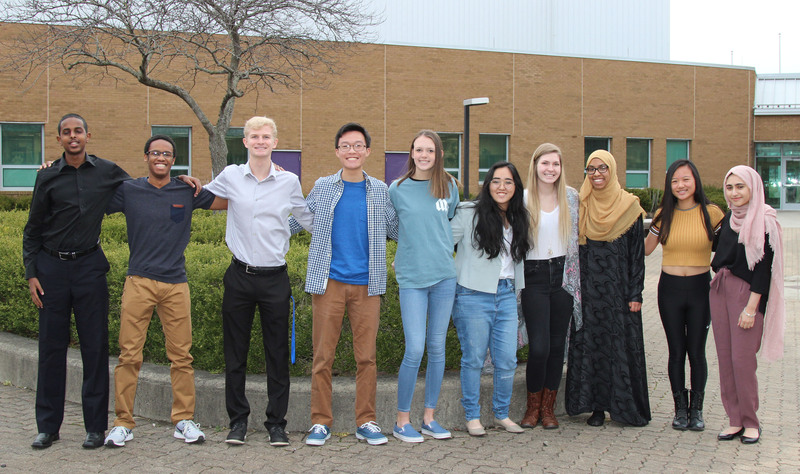 The Decem Decori designation is given to the 10 students at each high school who have the highest grade-point average. Congratulations to (as pictured left to right): Abdullahi Abdi, who will major in chemical engineering but his college is undecided; Robert Hammond, who will attend Case Western Reserve University with a dual major in computer science and music; Jacob Jobe, who will attend The Ohio State University majoring in biochemistry; Kevin Wang, who will attend The Ohio State University majoring in computer science and engineering; Rachel Gordon, undecided; Bertha Chou, who hasn’t selected a college yet but will major in computer sciences and biomedical sciences; Kayla Dunn, who will attend Miami University majoring in biology; Nasrin Ahmed, who will attend The Ohio State University majoring in respiratory therapy; Tammy Lin, who will attend The Ohio State University majoring in biology; and Aisha Ayub, who will attend The Ohio State University majoring in neuroscience.